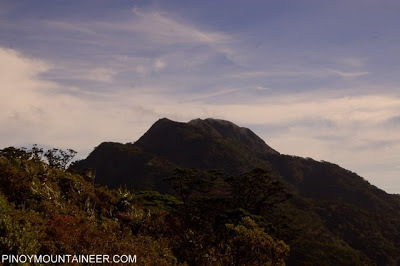 Hiking matters #57: Visayan Voyage 5 – Majestic Madjaas! The final mountain of the Visayan Voyage was no less than Mt. 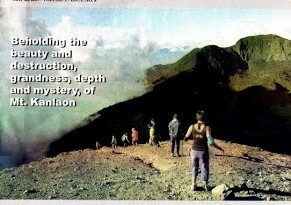 Madjaas, the legendary highest mountain in Panay island and an elusive dream for many Filipino hikers. Why? Because access is difficult. For a long time, there have been rumors of NPA (and RPA) activity in the area, not to mention the distance and logistical complications. Indeed, it technically takes three permits to climb Madjaas – one from the Provincial Police, one from the Municipial Chief of Police, and another from the Municipal Mayor. Besides, the mountain is a really difficult three-day climb. And we found that out for ourselves last April 14-16, 2009. We were already quite tired after four mountains and almost a thousand kilometers of land/sea travel. Yet, Madjaas was a target we didn’t want to miss. 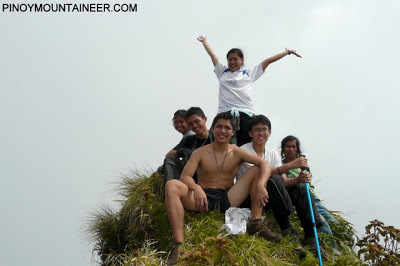 Fortunately, the Master Guide, Josue, was still in the barangay and he agreed to take us to the summit. The first part of the trail was a punishingly steep , open slope reminiscent of the Zambales mountain. The view though is nice – of highland villages and even some rice terraces. Then, a forest ensues until you reach Camp 1. Then we arrived at Camp 3, having circumvented Camp 2. From this Camp we assaulted the summit. Meanwhile, the trees have been dwarfed and mossy – therefore beautiful. Several narrow ridges, some deer track sightings, and finally before 1430H of Day 2, we reached the tiny summit of Madjaas. The highest measurement was 2116 masl. Instead of being unremarkable, we found reasons to make the descent memorable. Best of which was the strawberry fields along the trail where we plucked wild berries with abandon! That was the best trail food ever. And the best trail drink? Home-brewed locally-grown coffee from Josue’s hut near the end of the trail. When we arrived back at the jumpoff of Day 3, there was an overwhelming sense of accomplishment. 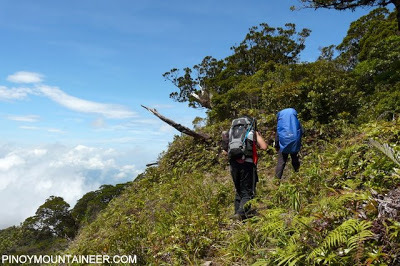 We had not just climbed one major mountain, but five challenging peaks – Osmena Peak Traverse, Kanlaon, Talinis Traverse, Pan de Azucar Traverse, and the formidable Madjaas. We were very very tired but fortunately we suffered no injuries and we thank God for the safety He gave throughout the journey. For the Madjaas leg, the team that remained was comprised of: me, Gideon and Jacob Sarreal, Lalaine and Ted Hablado, and Bianca Silva. The next day, we went back to Iloilo City and Manila. 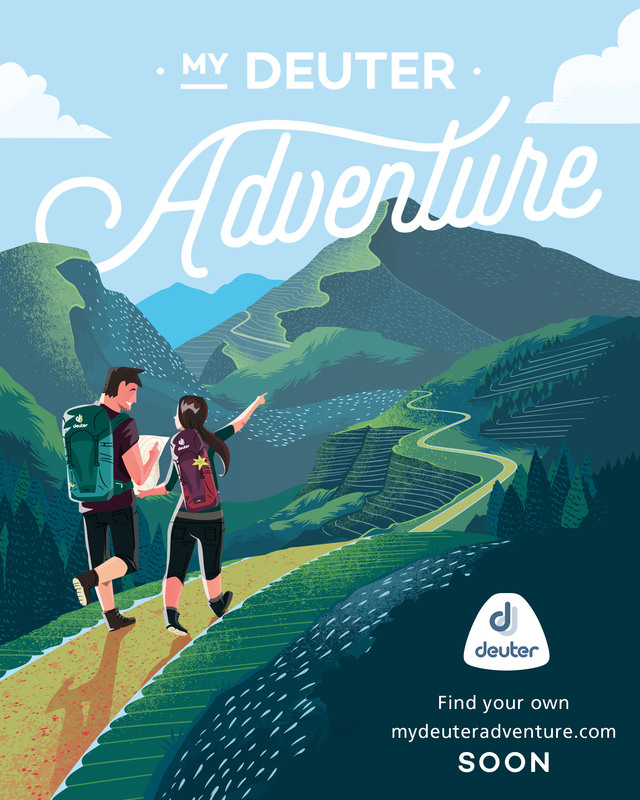 End of the Visayan Voyage…but surely the next adventure is just around the corner! PinoyMountaineer.com and the Visayan Voyage team thank Mayor Aida Alpas and Tourism Officer Romeo Alpas of Culasi, Antique, for their generous assistance that enabled the team to climb Mt. Madjaas. ← Environmental Alert: Stop the illegal logging in Mt. Pulag National Park! 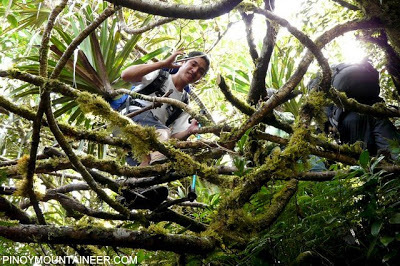 15 Comments on "Hiking matters #57: Visayan Voyage 5 – Majestic Madjaas!" been there….tay joswe really rocks! 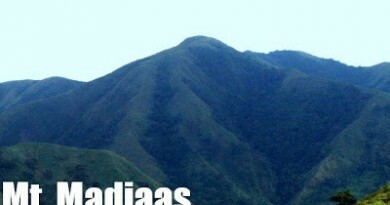 To everyone, if you wanted to climb this formidable Madjaas, join us this coming March 26-29, 2010. Just contact Haji of AMSI 09286878128. Walang reg fee. 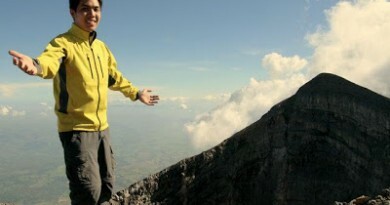 Actually it is a group of friend climb part 2 but if u wish to join, welcome na welcome lahat. Mas marami, mas masaya. wow! congratulations sa grupo nyo sir!ako culasinyo mismo pro hanggang tanaw ko lang ang ganda ng bundok na eto..nangangarap din na balang araw marating ko rin ang tuktok nito…goodluck po sa inyong paglalakbay patungo sa tagumpay..mabuhay kayo!